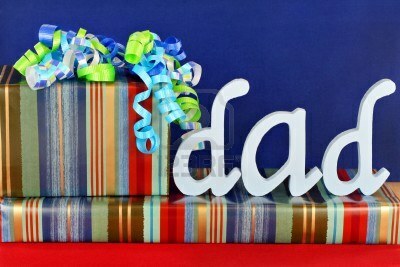 Father’s Day is annual celebration that is given honor to all the fathers and this is already this coming Sunday. Usually we overwhelmed with our works and appointments and we are not prepared yet on what to give to our father or our husband for gift this coming Sunday as father’s day gift for him. This happen mostly when we are too busy with our life’s appointment and we happen to forget to shop for Father’s Day gift. But with the technology that we have today this can’t be a problem, we can easily access on what ideal gifts for fathers and we can even purchase our gift online. We can easily look for ideals gifts that we can give to them. If your father is into technology you can easily get access to a computer store or websites that sell computer easily these days and it will deliver right into your door. Also, if your thinking to treat your father into a restaurant during Father’s Day you can easily find reviews in the internet of a best sit down restaurant in your area that your father or husband would love to eat. Or as simple as giving him a Father’s Day card and have just dinner at the house and prepare a favorite food that your Father and your husband likes to eat. With the advance technology today we don’t have to worry on what ideal gifts we can give to our love ones, if you know how to access internet you can easily order it online. You can even print discount coupons and find deals online to save money on gifts. Also, you don’t need to spend a fortune for your Father’s Day gifts if you don’t have a budget, a simple celebration works.. I know that sometimes we all stress about what ideal gift we could give on any occasions but spending moments and time is the best gifts we could give to our father or our love ones and that we can treasure forever and worth more than anything else. Happy Father’s Day to my father and to all the fathers around the world and hope you enjoy each life moment.